Enjoy spring with Decoy! These wines are waiting to be chilled and served. Host brunch like a pro! These wine and brunch pairings will leave no doubt that hosting at home is worth the effort. Check out the history of Decoy, dating all the way back to 1985! 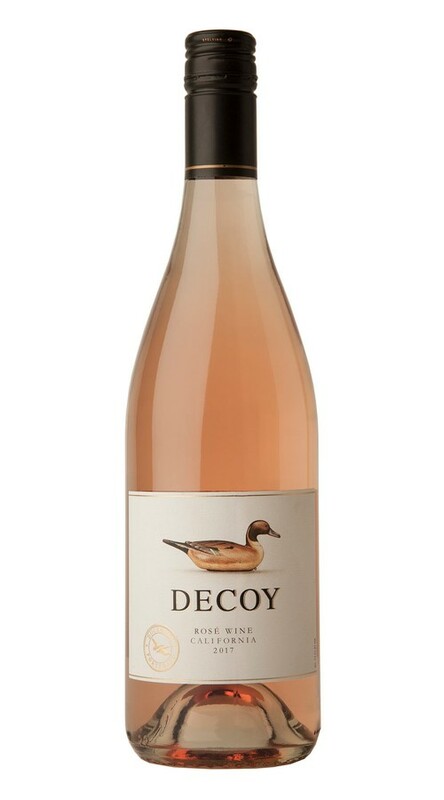 Our Decoy Rosé was inspired by the great rosés of Provence. Unlike many rosés, which are made as a byproduct of bleeding off juice from red wine fermentations, the grapes for this wine were specifically harvested at lower Brix to make a dry rosé. To further preserve the wine’s beautiful aromatics, pure fruit flavors and crisp refreshing mouthfeel, it was fermented entirely in stainless steel. This crisp and elegant rosé displays enticing aromas of pink grapefruit and freshpicked strawberries, along with hints of honeydew melon and raspberry. On the palate, it is bright and balanced, with layers of vibrant fruit and subtle notes of minerals and spice. 2017 began with an abundance of winter rain, followed by mild spring temperatures that provided a nice slow start to the season. As the weather warmed up during summer, careful pruning resulted in excellent vine balance and ideal dappled shading on the grapes. The majority of our white varieties were harvested before the first heat spike, showing excellent depth and acidity. This same lateseason heat helped our remaining white and red grapes achieve perfect ripeness. As a result, the overall quality in 2017 was amazing, with our whites displaying beautiful poise and lush fruit-forward flavors, and richly colored reds offering a lovely balance between concentration and complexity. © Copyright Decoy. All rights reserved.